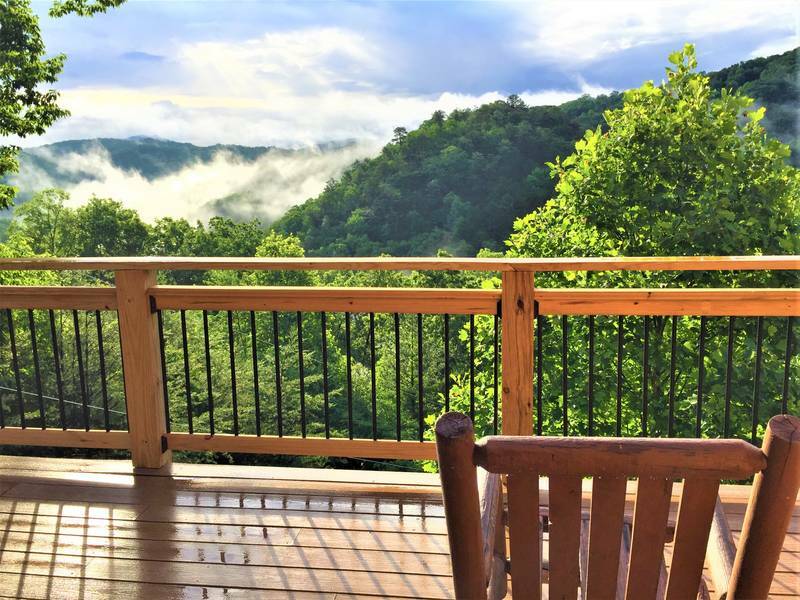 Welcome to Mountain Haven in Smoky Mountain! 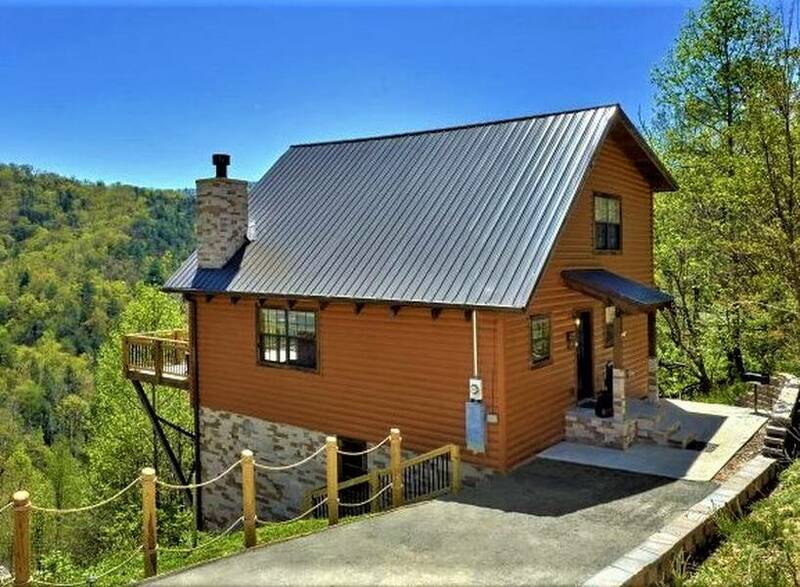 This spacious 2 level 1 bedroom, 2 bath cabin with great mountain view is a special place to enjoy your next vacation getaway. 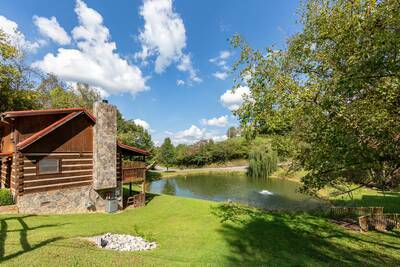 it offers a convenient location but hide in a very private cove. Conveniently located between downtown Pigeon Forge and Gatlinburg, you’ll enjoy convenient access to all the fun things to see and do. 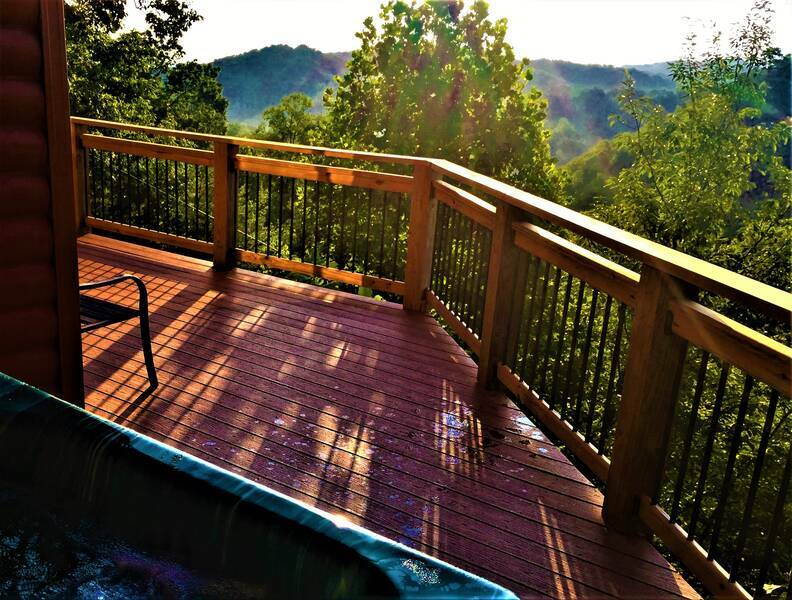 You’ll love the sweeping 180-degree view of the Smoky Mountains from the beautiful deck featuring a bubbling outdoor hot tub, picnic table, and comfortable seating. The cabin has been recently renovated by owner, it is decorated with owner’s original oil painting depicting the surrounding landscaping. The wonderful living room also provides you with a crackling wood burning fireplace, cozy décor, flat screen TV, and deck access. Adjoining the living room, you will have the fully equipped kitchen, complete with an island with 4 seating. The main level of A Mountain Haven boasts a relaxing king suite bedroom with in-room jetted tub, deck access, and separate shower. Venture to the upper level you’ll find the spacious loft. Here you’re treated to a pool table, flat screen TV, and a second king sleeping area with access to a full bath with jetted tub and stand up shower. The built in grill stand is located at the corner of the front patio. The cabin is nestled in a very private cove, it is named as “S&S cove” because the only 2 little cabins in this secluded cove are owned by two good friends. The initial of both their first name is “S”. Shelly’s “Mountain Haven” and Sharon’s “Mountain hideaway”. 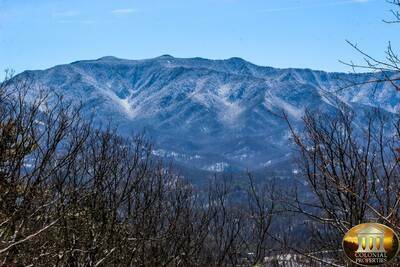 If you’re looking for breathtaking views, a mountain top setting, and all the comforts of home, plan your stay at A Mountain Haven today! 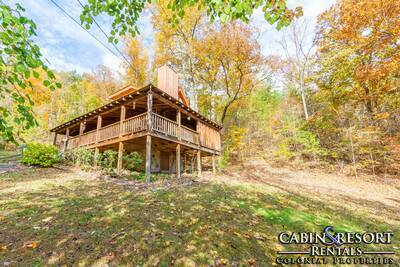 Owner does request the number of guests to use the cabin are not exceeding maximum capacity of “4”. Pets and smoking are not allowed inside the cabin. 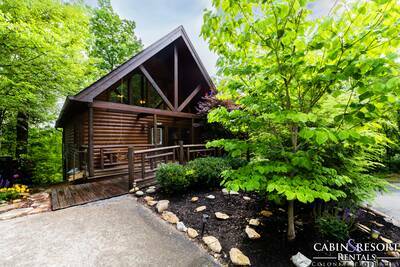 This beautiful cabin rental is located in the stunning mountaintop community of S&S Cove featuring breathtaking Smoky Mountain views. Choose from one or two of these exclusive cabin rentals that are perfect when combined together for a 2 couples retreat or extended family and friends. Click Here to Learn More About S&S Cove today! A: Satellite TV at this time. A: Hey John! This cabin currently does not have access to internet. Thank you for asking. A: Yes, there are 4 steps from the parking area to the cabin entrance. 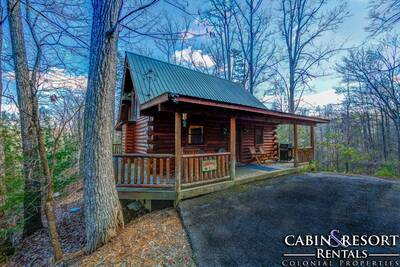 “ Absolutely exceptional, my wife and I had our one year anniversary in the Mountain Haven cabin. I wish I could have slowed down time so we could have enjoyed it more. The place was super clean when we arrived. The view off of the back porch was mind blowing. We will definitely be staying again with this company they did above expectations with this cabin. Thanks so much! “ Everything was so clean and nicely put together, with a view to die for! We enjoyed every minute! “ We loved our cabin. Wouldn't stay any other way again! “ Great cabin. Very well updated to give a great cabin experience. Very steep road to get to cabin, but pays off with awesome views to die for.